Not yet. I just got my BGE last weekend. What did you bake those in? My wife made breakfast pizzas when we dated and early on in marriage. 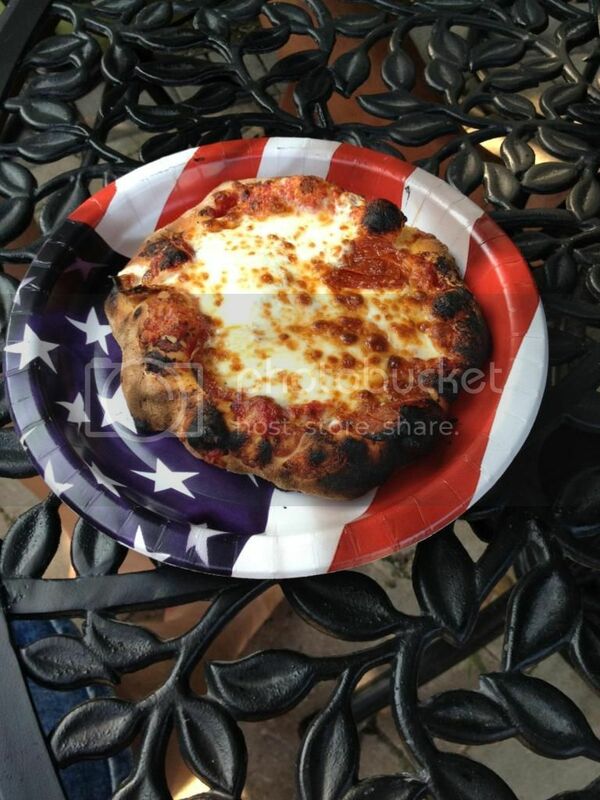 And OP's pizza looks awesome. My wife makes homemade pizza, one of her tricks to getting a great crust is to bake the crust a few minutes before adding any toppings. Of course we like thin crispy crust, rather than thick chewy so YMMV. 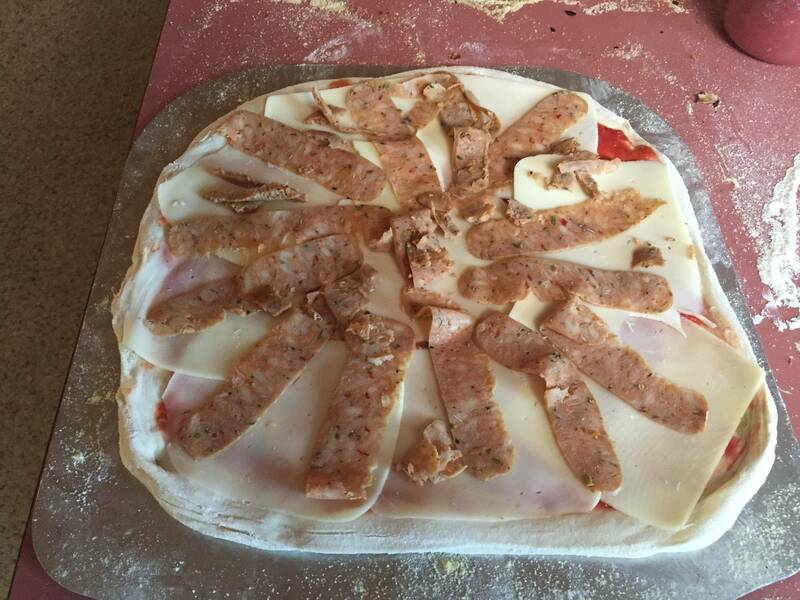 My kids were just asking if we could make our own pizzas tonight. I didn't have any dough ready so we cheated and pulled a frozen pie out. Just isn't the same. French bread pizza in that case! Why is my cat in your house? Looks good. My wife makes pizza a lot. Dispensing happiness one MIRV at a time. 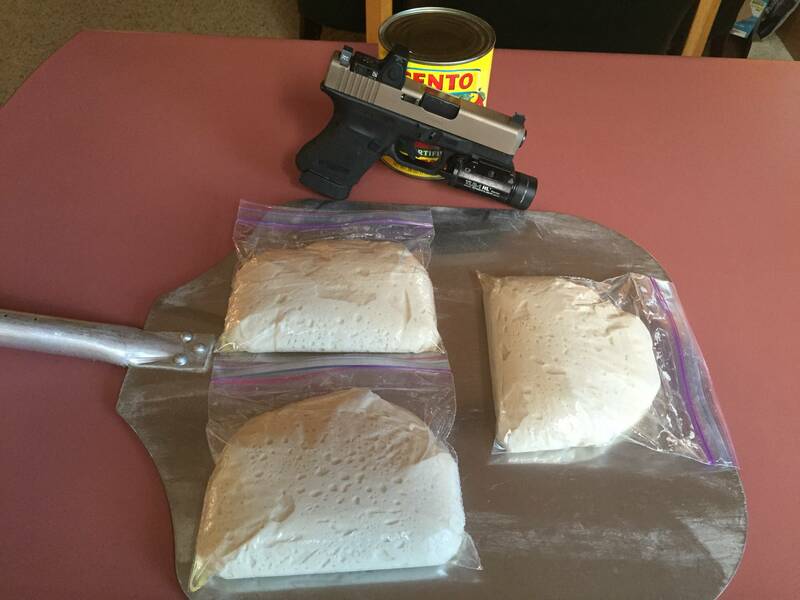 Use the same tomatoes; we purchase Caputo 00 flour 55#'s at a time. We do batches of dough every month or so. "If ever time should come, when vain and aspiring men shall possess the highest seats in Government, our country will stand in need of its experienced patriots to prevent its ruin." S.A. I do. I have been using this crust recipe with excellent results. I like homemade garbage pizza, in fact I'm getting ready to build one up right now. Ohh nice! What are you paying for a 55# sack? Details man we need details!!!! 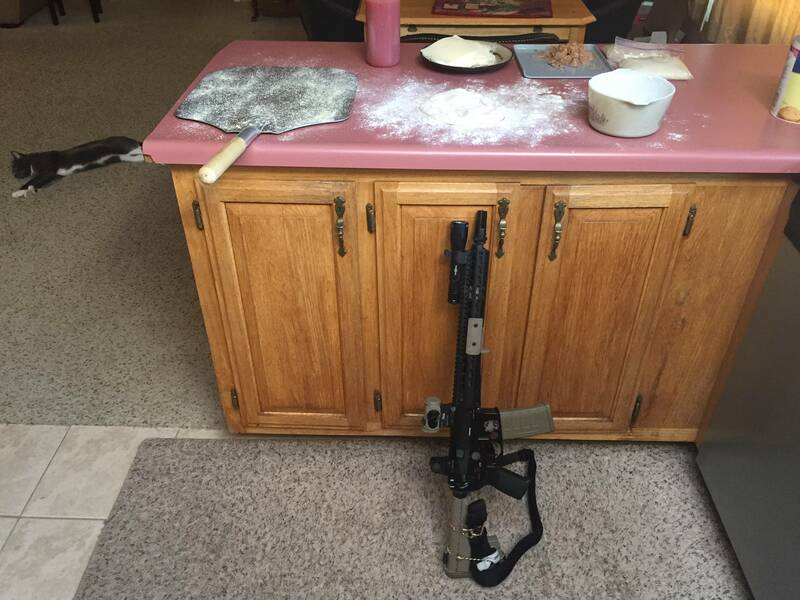 What are you cooking in or on? We have make your own grilled pizza night on fridays. The kids love it! Tattoo'd and Voted #1 in blind taste tests. Sorry, but "their." Looks good, by the way. Make my own pizza where? I have a KamadoJoe, but have only made pizzas on a friend's BGE. It's really easy aside from the dough making. And effing delicious. I make my own dough, proprietary recipe. 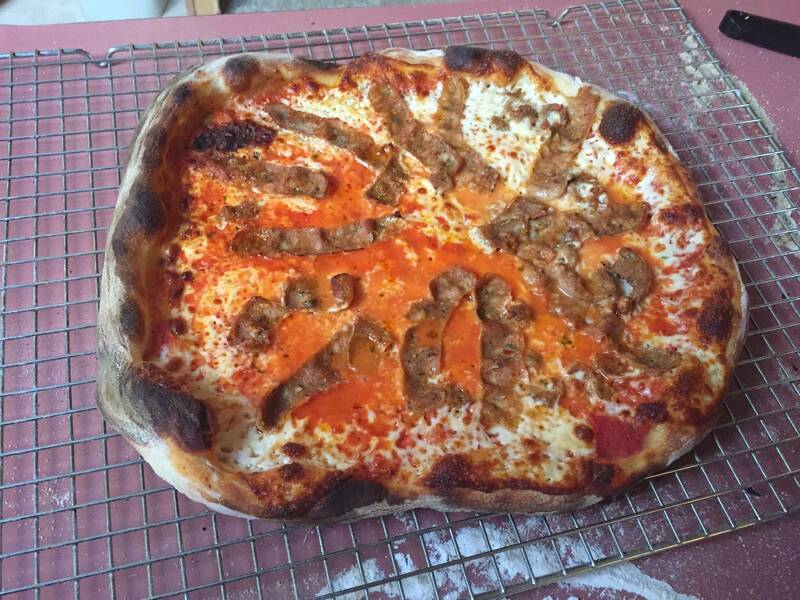 It's not a traditional pizza dough in taste or consistency, but everyone that tries it likes it. 2.5 tsp aka 1 packet yeast, mix with room temp water let stand 5 min. thoroughly mix the yeast water thenext add 1st sugar, 1st salt, 1 tap veg oil. Stir then add 2 cups white flour, 1 cup wheat. Use a rolling pin to flatten it into a pie shape. If you are using a conventional oven stick the dough in at 350 for 5 min. Take it out, add sauce (hopefully home made) then throw on your cheese, seasonings and toppings and bake it till the cheese gets golden. I hear the key to good NY pizza is the water they use in the dough. I hear the NY tap water is tasty, never had it myself, that's what im told. We do it just about every weekend. Sometimes I go buy the dough. More often than not, wife will make it. I take over after that. Home made pizza is the best, plus the kids love making thier own pizzas!!! 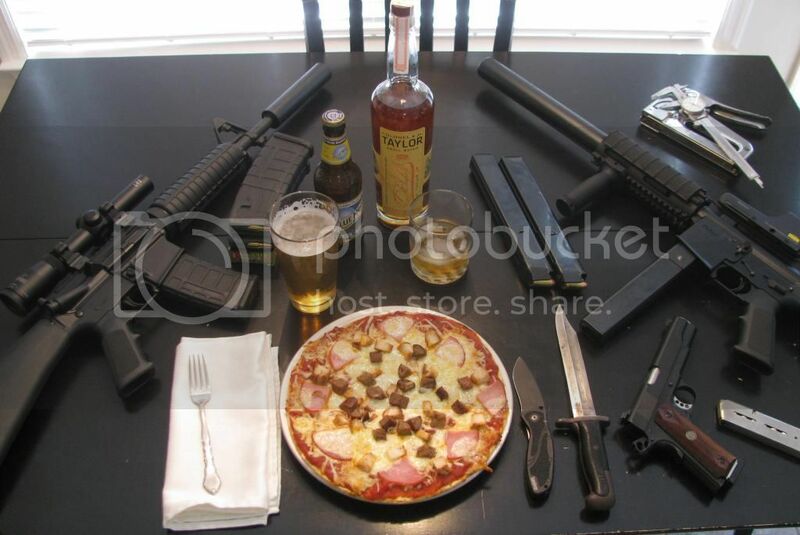 When the pizza delivery shows up I just say "There, I just made this pizza my own". I cheat badly though. I buy the dough from my favorite joint. Sigh. I really do have that look on my face. You must be awful at dough making if Little Caesars is better than homemade. The trick to really superior pizza is: to bake it on a layer of yellow cornmeal...and use enough flour so the dough isn't sticky. 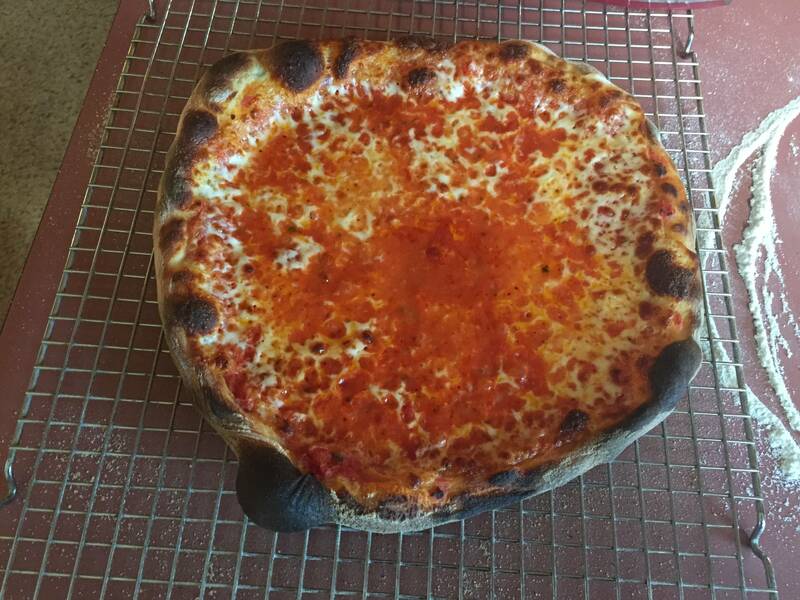 It holds the dough up off of the oven platen enough to let the hot air get under the crust and crisp it up. The baked cornmeal adds a buttload of flavor too. Roll out your dough. 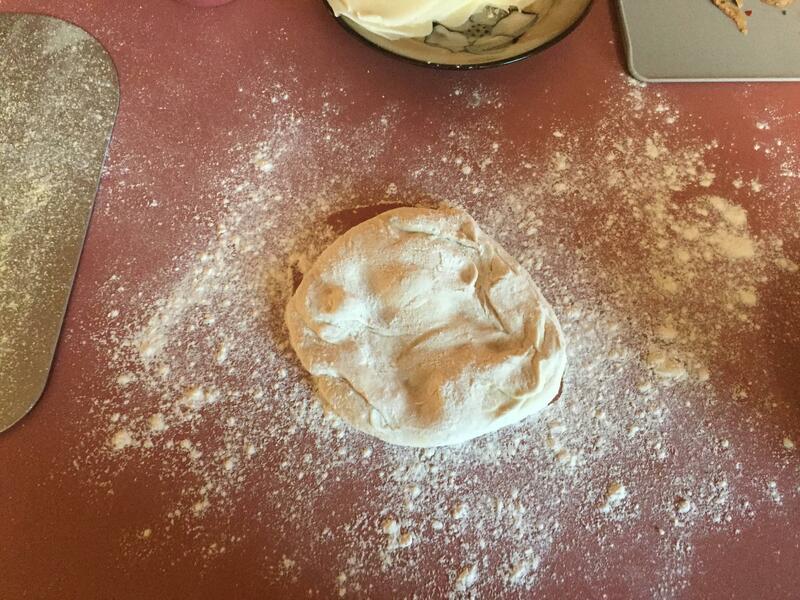 Throw a big handful of flour on top and spread it out. Fold it in half. Fold it in half again to make a 1/4 pie shape. Sprinkle a generous amount of yellow cornmeal onto the wooden pizza paddle. Put the folded dough onto the cornmeal covered wooden paddle and unfold it. Brush of the loose flour. Add your sauce and toppings. 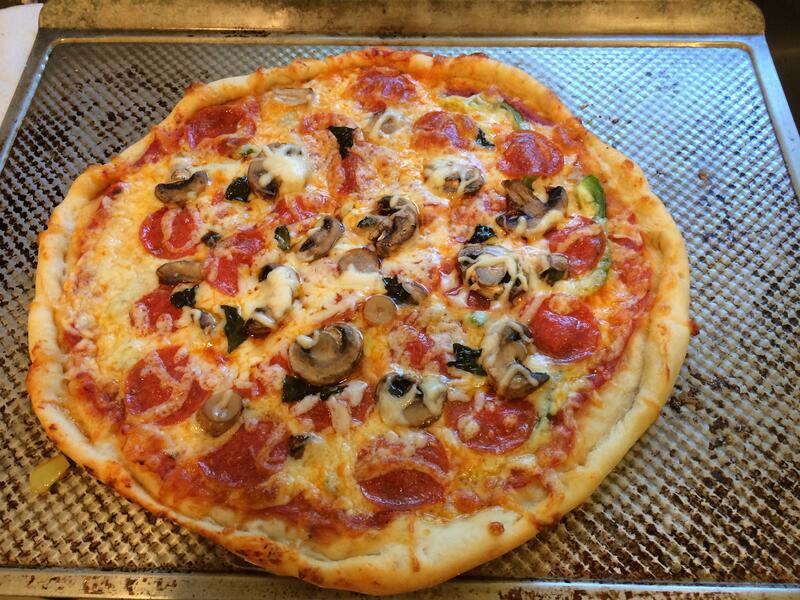 Use the metal pizza pizza peel to slide the pizza off the paddle onto the oven platen. Turn the pizza 1/3 rotation every couple of minutes using the peel. The trick to really superior pizza is: to bake it on a layer of yellow cornmeal. My wife does it with a layer of Parmesan cheese with a little olive oil, same effect though. Try the Pilsbury crust in a tube. Not kidding. Garlic naan bread. Available at Walmart, Aldi, etc. I use the high gluten flour and a pretty traditional dough. 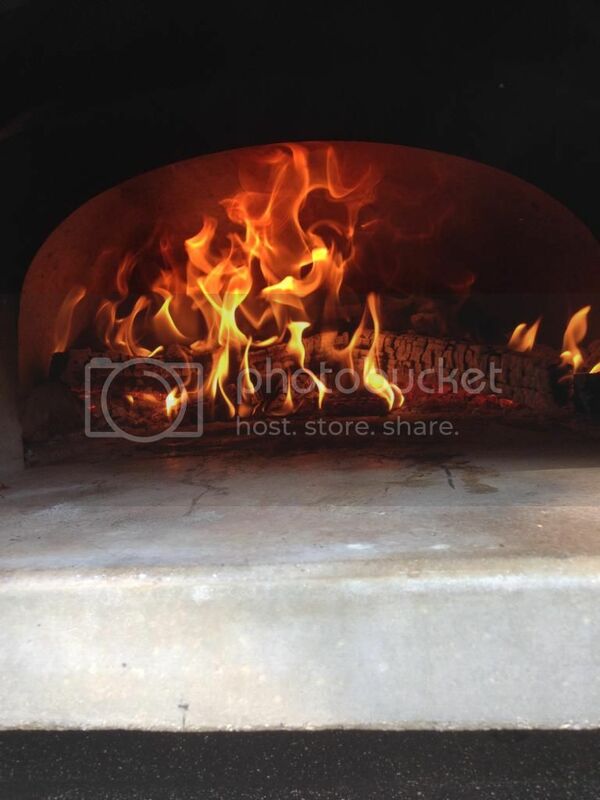 The oven is from Chicago Brick Ovems and I get it to about 800F. I use some corn meal on the bottom. The fire is built with Cherry or Apple wood. I ordered some Orange Wood to try next time. Cooks in 2-3 minutes about a 8" pizza. I hold it up in the top of the oven to finish, and carmelize the cheese a bit. Yeah I know it could use some changes, but it's been a family recipe of sorts, and it come to enjoy it as is. That's not so say I won't try your method. I feel there is room for more than just one pizza recipe. Now whoever posted the pictures of that sick outdoor oven has to start taking. 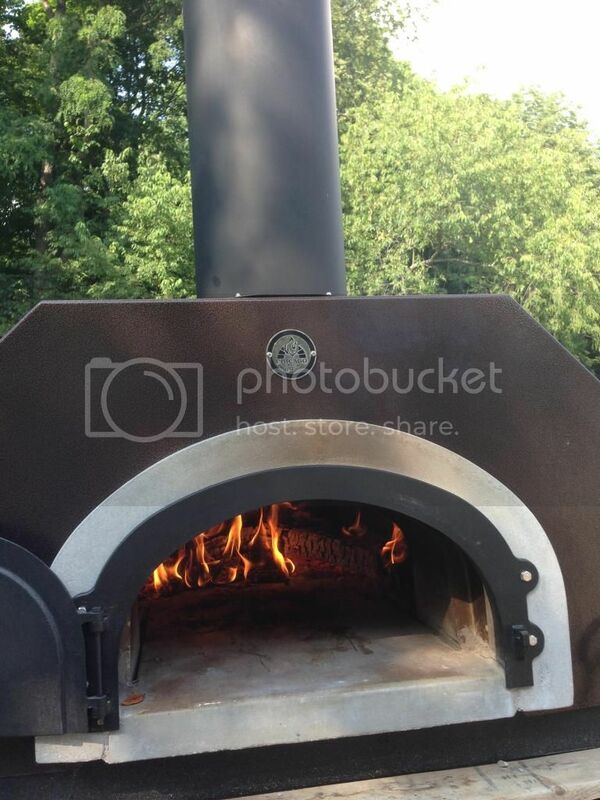 One of my upcoming DIY projects is to build our install an outdoor pizza oven. Anyone know of tomato sauce that wont cause heartburn? Unfortunately I don't get to eating pizza anymore cause I will feel like a heart attack all night from acid reflux. White sauce is the answer but non -canned sauce will improve it markedly. Also, if you have a fancy supermarket nearby, they may have a fresh sauce in the cold case. A fork to eat pizza? Still 10/10. I make my own a lot using my BGE. The key for me is not the corn meal, it is to use parchment paper and make sure the stone has 25 minutes to heat up. I usually buy my dough but would really like to get a great recipe and make my own. +1! My kids LOVE that meal. They get to build their own pizzas. WM has started carrying Asiago cheese bagels and we made pizzas from those. The kids still ask when are we going to do that again. Really good. Welcome to Colorado. We don't care how you did things in Jersey, California, or NYFC.